As a Mother and a Wife I know how hard it is to make all those important decisions for your family. I want to help my readers by offering my honest opinions about everyday products. I will only review products relevant to my site. Examples: Green, Eco friendly and/or handmade cleaners, toys, bath and body products, cloth diapers, herbs, organic products, and natural alternatives. 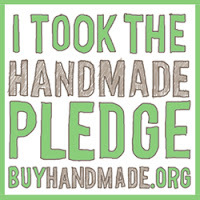 I especially love to support small businesses and handmade products! I also allow guest posts on topics that are relevant for families. In order to properly do the review I will need a full size, functional item. The product I am reviewing will become property of Earth Faerie Momma and will not be returned. In my review I will display photos of the product in use. Once I post the review I will send you the link. I will not post a negative review. If I have any problems with the item I will contact you first. In the review I will let readers know where they can purchase the products and services you offer. I will also put a link to your website on the sidebar of my page under "sponsors". It will remain here for one month after the review/giveaway. Please send me any artwork you have that I can use. I will resize it to 125x125 to fit on my sidebar. I use Rafflecopter for giveaways. I will encourage readers to visit your site, like your facebook page, follow you on twitter, etc with optional entries. Please let me know what you would like promoted. Per FTC guidelines, making a purchase cannot be included as an extra giveaway entry. I follow all Facebook and Google policies. Please email me if you would like to know more. I normally run the giveaway for 3 weeks unless it is part of a large event/blog hop. Rafflecopter will choose a winner at random. I will notify you of the winner and provide you with their information so you can send the prize. Earth Faerie Momma is not responsible for any shipping fees. Lastly, If you wish, you can provide a coupon code exclusively for Earth Faerie Momma readers. If you want me to review a product(s) for you, please fill out this form or contact me at angela(at)earthfaeriemomma(dot)com. Essentially, a large group of blogs get together to give away theme based prizes. These blogs will all link together to encourage blog hopping. That means more exposure for the giveaways. Most of the time there is a grand prize which attracts even more readers. For the blog hop there is a minimum value for the prize. The prize can consist of more than one item from more than one sponsor. So, sometimes I will put together a theme based prize package. You as a sponsor will still get an individual post and review of your product(s). The events that I am participating in can be found on the sidebar. You can click through the link to find out more about the event. How will all this benefit you? Readers who are interested in your products will enter the giveaway. Rafflecopter form entries will consist of website visits, facebook likes, twitter follows, and/or etsy favorites. Participating in one of these events can gain you a large amount of followers. Allowing me to review your product(s) will show readers first hand how great they are!